Many girls like stuffed toys. Most likely, each as at least a few cute plush toys at home. 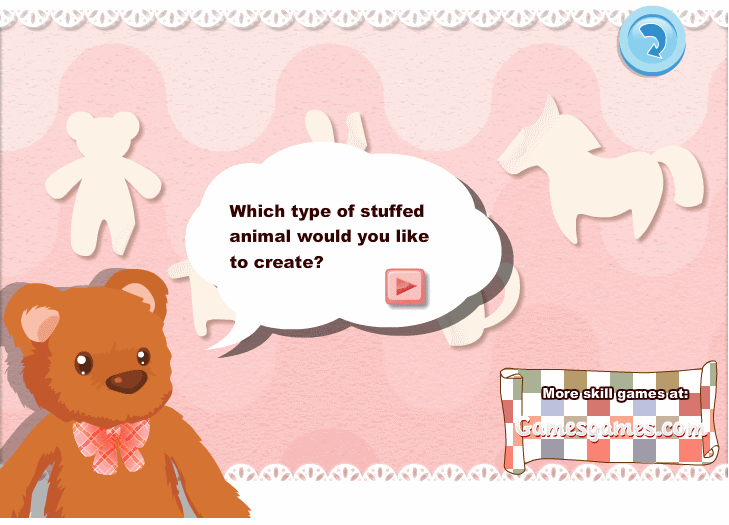 In this wonderful virtual sewing game for girls where you can create a stuffed animal for yourself by your own hands . First select what kind of toy you want to make. Then you can choose the fabric from which the toy will be sewn. 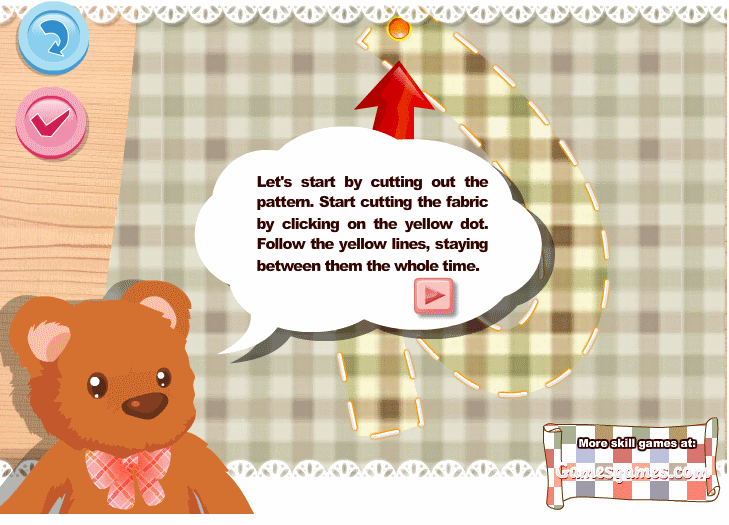 You will need to cover the details of toys, then stitch seams for future toy using the virtual sewing machine. Tamp the toy with cotton. It remains only to attach the eyes, nose and mouth, and your stuffed toy is ready. 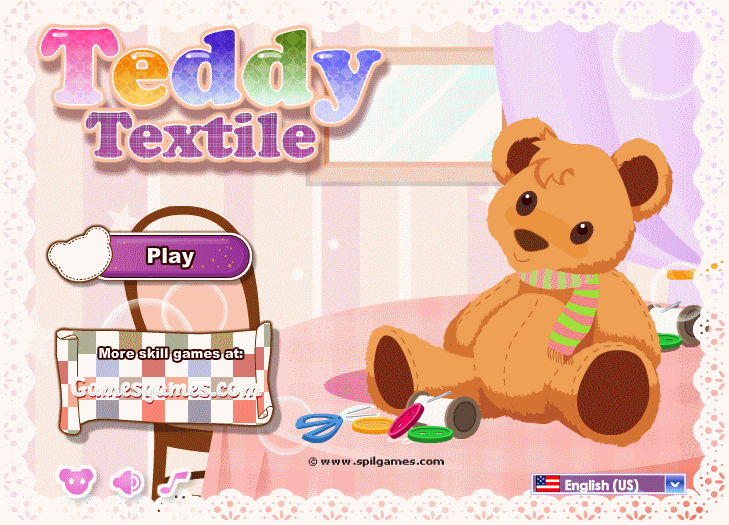 Teddy textile game. Press Play. Sew the seams by moving the fabric under the machine. 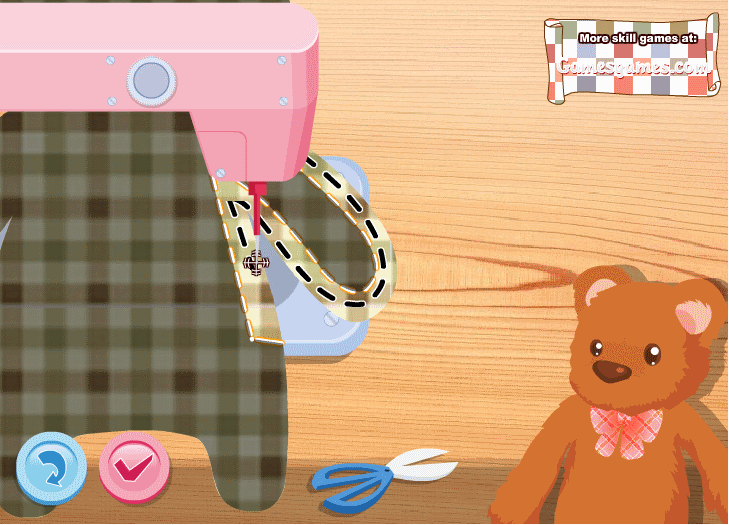 Play sewing games free online.